ORIGINAL Penang Kayu Nasi Kandar in SS2, Petaling Jaya, is in the number one spot with 145 votes for the best Nasi Kandar category. Voting for your favourite nasi kandar stall/eatery in The Star People’s Food Awards ends May 31, so log on to Metro Online Broadcast (MOB) to cast your votes. 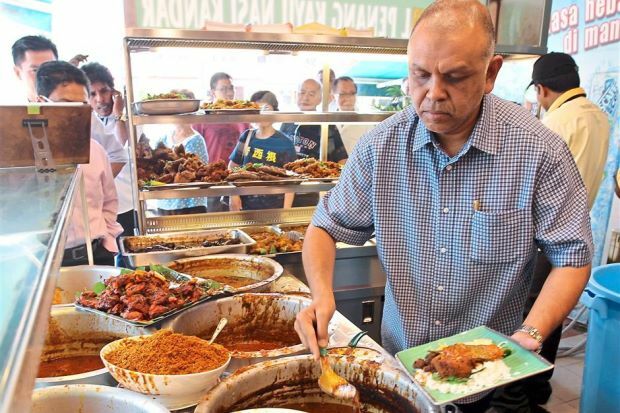 Pelita Nasi Kandar in Bangsar Baru stands at second place with 48 votes, followed by Restoran Citarasa Penang in Glenmarie, Shah Alam, with 45 votes. The other nominees on the list are Hameed Nasi Kandar in Precinct 1, Putrajaya as well as Yaseen Nasi Kandar Penang and Restoran Kudu bin Abdul in Jalan Tuanku Abdul Rahman. Instructions on how to vote can be found by clicking on The Star People’s Food Awards icon. Readers who sent in their nominations from May 1 to 10 stand a chance to win attractive prizes such as hotel stays and dining vouchers.